New Arrivals: The Best Vegan Summer Slider Sandals For Women! Strap In and Buckle Up! 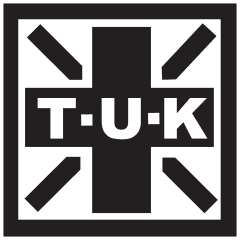 At last, it seems like we have been waiting forever but the new T.U.K. Autumn collection will be available next week when the new T.U.K. web shop comes online. Watch out for exclusive discount promotions as the count down nears launch time. Creeper fever; Embrace your inner punk! Creeper fever, from whowhatwear.com. Looking good ladies! Green Day’s bassist, Mike Dirnt, managed his signature high kick and managed to show off T.U.K.’s iconic bones sneaker sole. Keep rockin’ the sneakers Mike! Teen Vogue showing off our A8143 Mondo Hi Sole Red Leopard Print Brothel Creepers. They look great with the Nirvana Tee! It’s no secret that Green Day are a big fan of our creepers, they are often seen in their music vids or just being caught by the papparazzi wearing them, but one thing’s for sure.. they look good on them! Front man Billie-Joe is sporting our Mondo Lo Sole A7270, whilst drummer Tre Cool is wearing our mighty fine pointed creepers, both Rock stars have gone for the black on black suede look. It’s not just their music that rocks, their taste in shoes does too. Kevin Staab Signature Collection Now Available..
Jessie J: Pop Star, Fashion Icon…Creeper Lover. Jessie J is another celeb frequently papped wearing our creeper shoes; from magazines to the supermarket! And now she can be seen doing her thing in creepers in her new music video for ‘Domino’ She’s flaunting the A6961 Faux fur leopard print creeper, check them out about 1:45 & 2:34. Lovin’ Jessie J’s new vid and her taste in creepers!